DLC Game Packs are individual content packs for Elder Scrolls Online. Following the release of Tamriel Unlimited, all future content updates will be released as DLC, while base game features, bug fixes, and other "quality of life" updates will accompany the DLC release as a free base game patch. The term 'DLC' is a misnomer, as all players download the DLC game packs and can even trade for certain DLC-specific items. 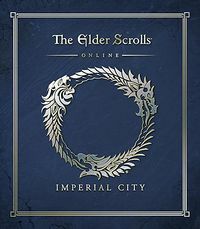 DLC can be bought permanently from the in-game Crown Store; alternatively, ESO Plus members are given access to all DLC for the duration of their subscription. Loyalty Rewards can be obtained by accessing DLC either through the Crown Store or through ESO Plus. Accessible DLC appear in the Collections tab, separate from regular Collectibles. The introductory quest for each DLC can be received through this menu, although doing so is optional as the quests can also be received naturally through regular gameplay. Imperial City has no associated loyalty reward. Six PvP-enabled Imperial Districts that function as Quest Hubs and battlegrounds. The loyalty reward for Orsinium is an Echalette pet. 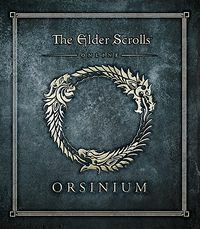 Until the launch of Thieves Guild, the DLC was also available for purchase as part of the Orsinium DLC Collector's Edition bundle for 5,000 . The loyalty reward for Thieves Guild is an Jackal pet. 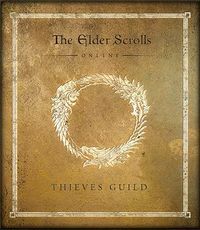 The DLC is also available for purchase as part of the Thieves Guild DLC Collector's Edition bundle for 4,000 . Itemization, including new craftable sets, powerful new trial dropped sets, costumes, and access to the Outlaw style. Esta página foi modificada pela última vez à(s) 00h50min de 6 de março de 2016.